Think about the last time you had banana bread.. Was it dry? Too moist? 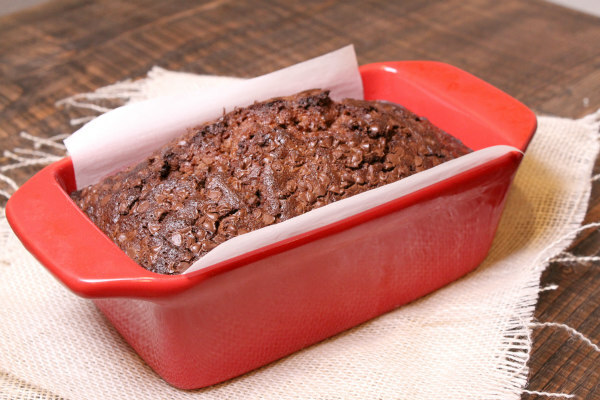 That is NOT the case with this awesome Brownie Banana Bread. 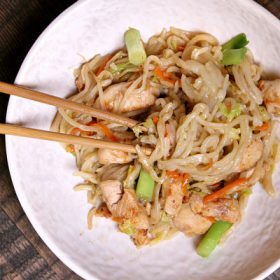 I love this recipe because it combines two of my favorite things to eat in the whole entire world. 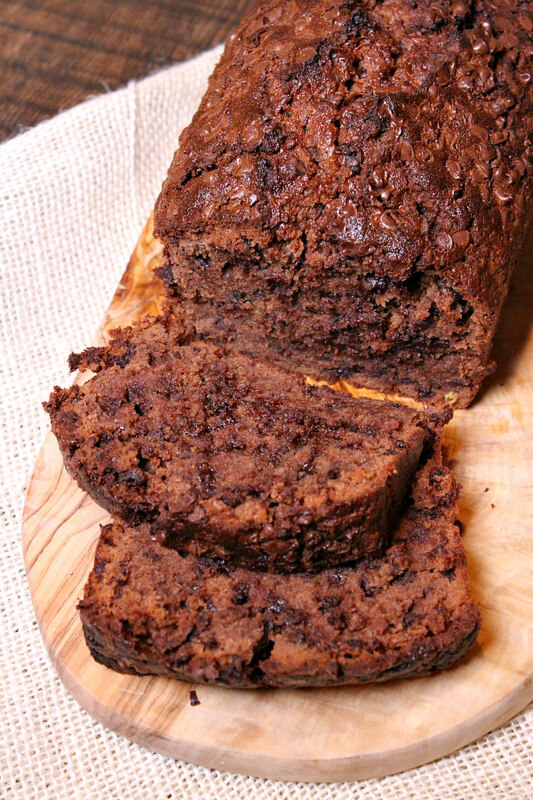 I can’t find any flaws in the idea of a banana bread mixed with brownies. That’s exactly why I chose to make this recipe. 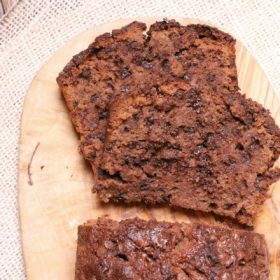 The brownie mix makes a BIG difference in this banana bread. 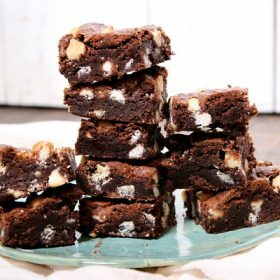 You can taste the brownie part as soon as you pop a bite into your mouth. 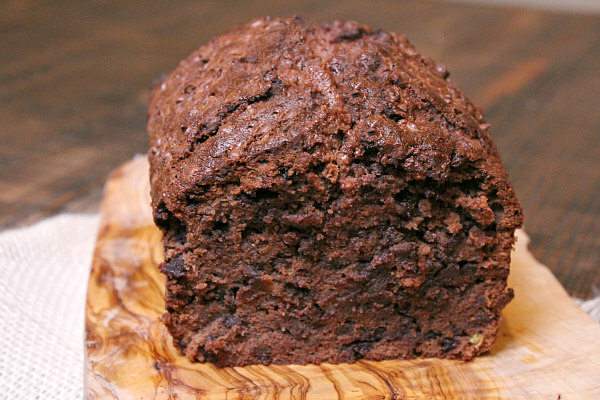 But don’t worry, it isn’t overwhelming… The perfect balance between banana bread and brownies has been found. Chocolate pairs with almost anything, right? 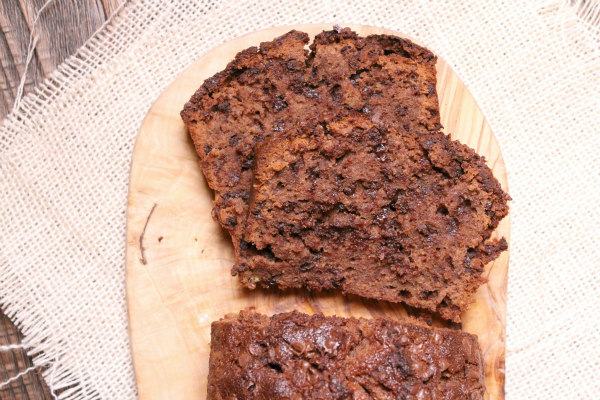 It’s the perfect ingredient to throw into a normal loaf of banana bread. To enhance the flavor of the brownie mix and improve the overall aesthetics, I threw mini chocolate chips in the batter. Delish!! The Brownie Banana Bread came out perfect. This bread tastes like it’s straight out of a five-star bakery! And the best part? You can make it right in your own kitchen! I hope everyone has a fun and safe week… I actually just got back from the US Lacrosse Convention in Baltimore. It was amazing, but I’m ready to hit the slopes again!! Preheat your oven to 350 degrees F. Line an 8x5-inch loaf pan with parchment paper. Spray the bottom only with cooking spray. Put the brownie mix in a medium bowl. Stir in the bananas, butter, eggs and whipping cream just until combined. Stir in 1 cup of the chocolate chips. Pour the batter into the prepared pan and spread evenly. Sprinkle the remaining chocolate chips on top. Bake 75 to 90 minutes or until a toothpick inserted into the center comes out clean (cover the bread loosely with foil at about the 1 hour mark to avoid over-browning or burning on top). Cool 20 minutes, then remove the loaf from the pan to a cooling rack. Cool completely. Whipping cream? I don’t need to bulk up for football! If you cut the whipping cream (maybe use coffee to boost the chocolate flavor) & added applesauce for moistness in place of some or all of the butter, this would be a recipe I would try. Try it that way and let me know!